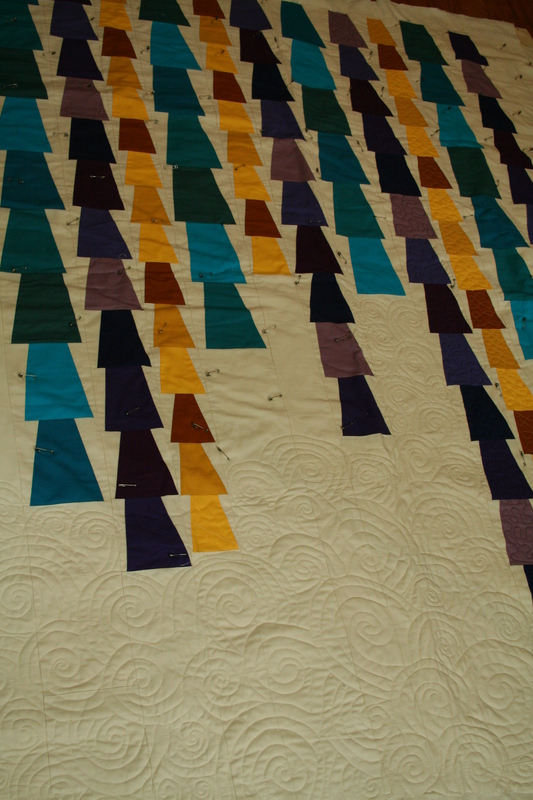 I’ve been working on my solids-only version of Elizabeth Hartman’s Glam Garlands pattern for about a year and a half. Sigh. 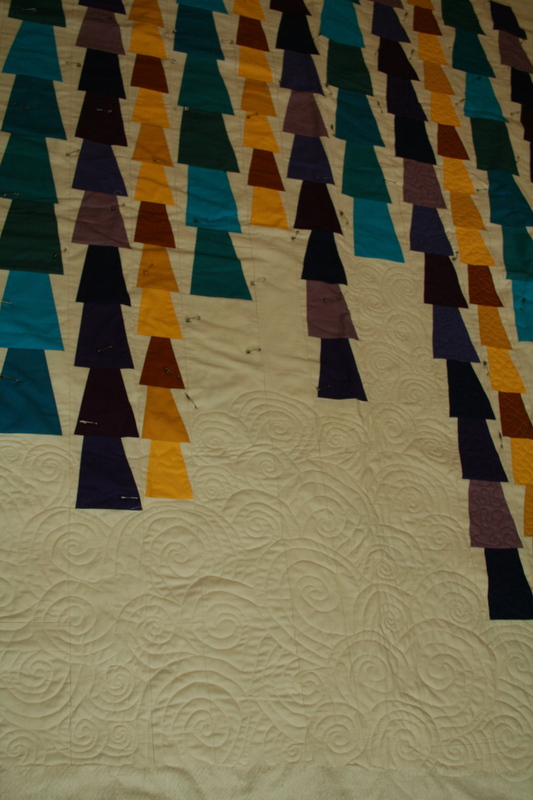 This quilt is teaching me patience. It’s not that anything has been problematic, but more that other projects take precedence. This quilt is for me. No deadline. So very, very slow progress. 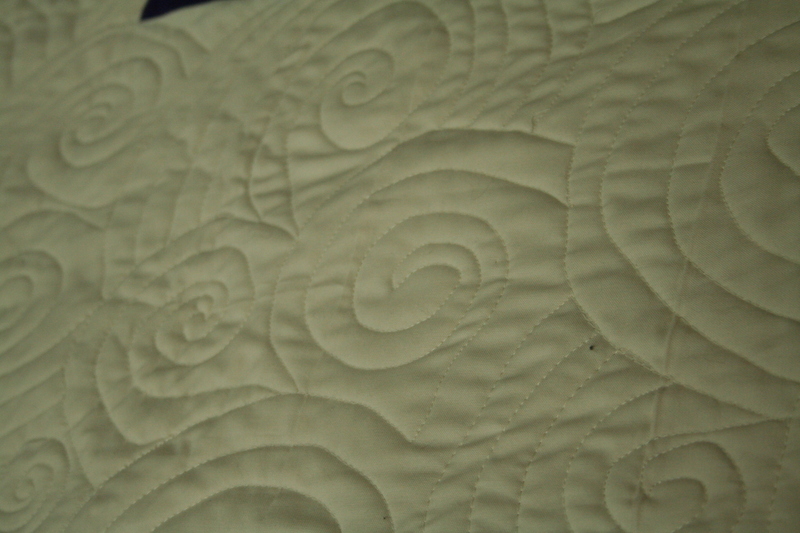 Anyway, last week I started quilting it! I’ve wanted to try swirls for awhile. 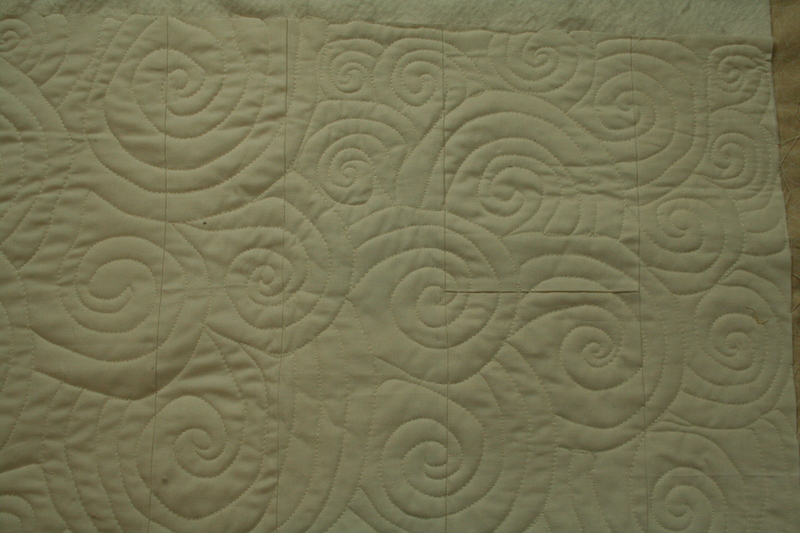 I did some wobbly ones on the Greenscape quilt, but I practiced awhile and went for it on this one. 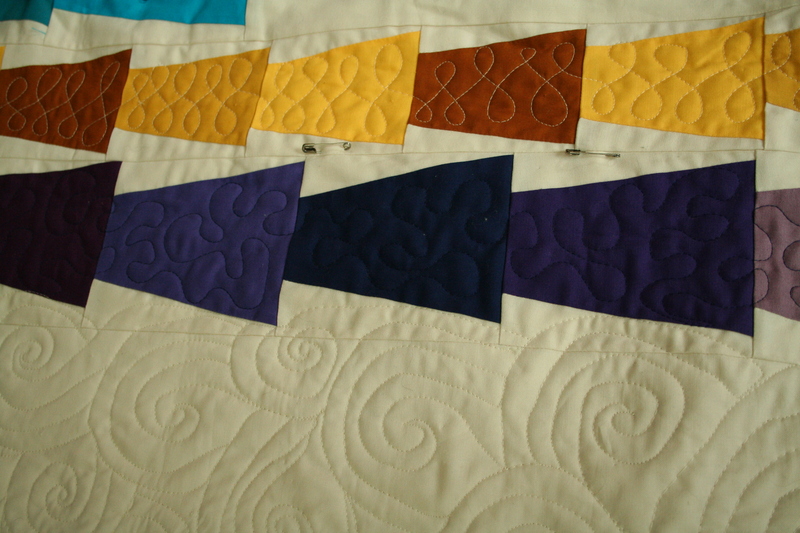 And I’m going to try a different FMQ design in each garland. So far I have scrolling loops in the yellow and stipple in the purple.